If you’re a parent who likes to cook whole foods and make them tasty, there’s a good chance that your dishes include garlic. Garlic is a wonderful ingredient with several properties, one of them being a natural antibiotic. One of the main components of garlic is allicin, a sulfur compound credited for being the active ingredient. There is plenty of literature on benefits and nutritional profile of garlic. Garlic is part of the Mediterranean lifestyle and many dishes people cook daily in Provence include garlic: meats, tomates à la provençale, aioli, salads. It’s not just about nutrition, garlic tastes delicious! Sometimes it’s hard to get your kids to eat and like garlic. When we have family dinners we occasionally see our kids eat everything, but leave the garlic on the side of the plate. We noticed that other times they eat it, and they even like it. What made the difference? We asked the kids too, and they told us. 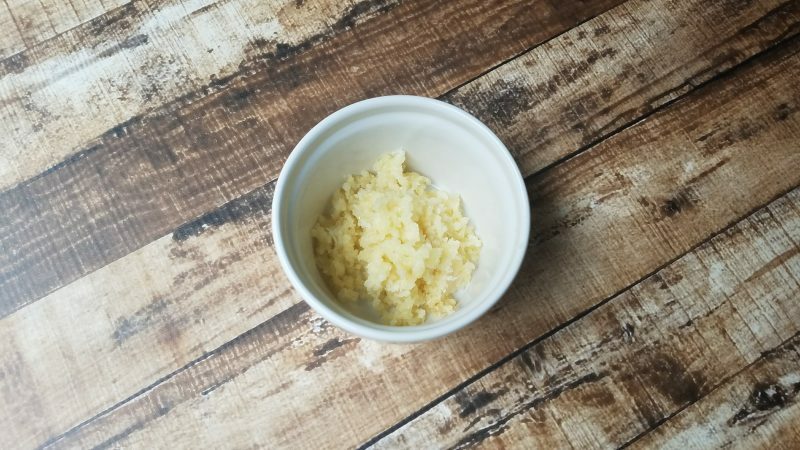 Here are a couple of things you can do make your kids eat and line garlic. 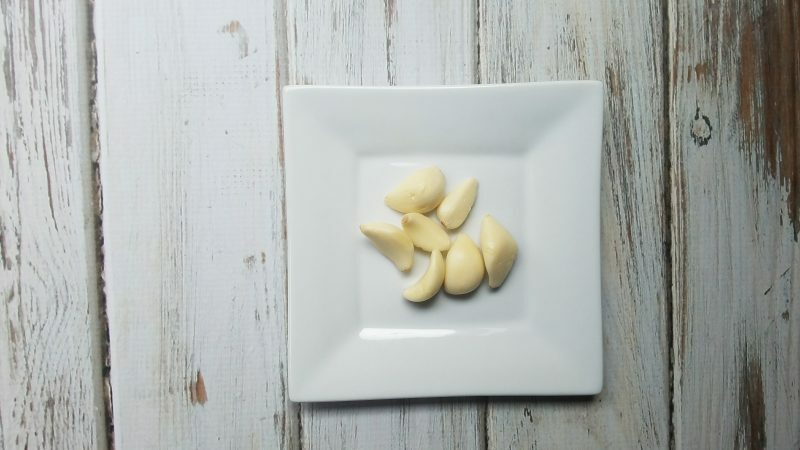 For some of the dishes we cook we cut garlic in chunks. One thing we noticed when cooking dishes with chunks of garlic is that it could be hit and miss. Our 14-year old likes the taste of chunked garlic. But even when it’s cooked he’s self conscious that his friends might notice the smell of garlic in his breath. So at dinner times, when he’s not going anywhere, eating chunks of cooked garlic is no problem for him. Other times of the day he may skip it for that reason. To get your kids to eat and like garlic is not just about whether they like it or not. Cosmetics and smell matter. Our younger son Marc is 11 now and in his words, “I like it crushed”. Our salad sauces typically include crushed garlic, lemon juice, olive oil and a little bit of mustard, and he loves that sauce. In that case the garlic is raw. For dishes like stir fry or when the garlic is cooked, the fact that it’s crushed blends it in the dish, to the point that it adds flavor without being separable or bothersome to him. 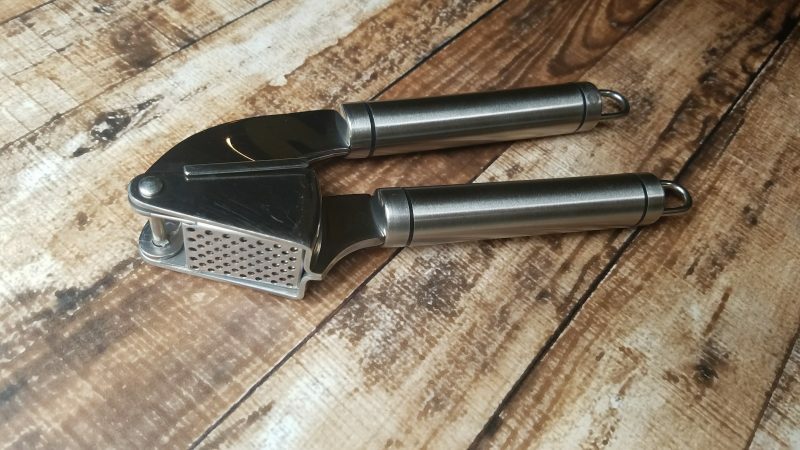 A garlic press makes for a handy tool in our kitchen. We have 3 of them. In general we’ve seen an equal preference with raw and cooked garlic in our home. Crushing was really the big difference that made it stay in the plate or being eaten. Raw garlic can taste very strong, sometimes kids get turned off by the spicy and strong flavor. On the other hand when garlic is cooked it becomes much milder, and even the taste changes. The beneficial properties of garlic appear to be the same whether it’s cooked or not, so it really becomes a matter of preference. At least with one or the other you’ll have a good chance to get your kids to eat and like garlic.